Get a Kings County Traffic Ticket? You Can Beat It! You can fight Kings traffic tickets by getting them dismissed much easier than you may think. In Kings, California, drivers are allowed to contest a traffic ticket using a Trial by Written Declaration. This is best way to fight a traffic ticket without going to an Kings courthouse or hiring an expensive Kings traffic ticket lawyer. We have found this to be the best way to contest a California traffic ticket, period. This option is available to every driver who receives a traffic ticket in Kings, California. In fact, if you turn over your traffic ticket you will see that a Trial by Written Declaration is listed right on the back of your ticket as one way to fight it. This process has been around since 1978 to avoid having to pay traffic ticket fines. TicketBust has been helping California drivers prepare Trial by Written Declaration’s for over 14 years. In fact, tens of thousands of vehicle tickets in California have been contested using our system. We are the original traffic ticket fighter and the TicketBust system has been developed specifically to prepare all your documents properly based on how you answer a few questions. This way you can fight your ticket, knowing you have maximized your chances of having the court dismiss your Kings County traffic ticket. When you contest a ticket using a Trial by Written Declaration not only don’t you need to go to court, but you don’t even need to take traffic school if the ticket is dismissed. If the ticket is dismissed, no point will appear on your driving record and the bail will be refunded to you in full. If the ticket is not dismissed and you are eligible for traffic school, then you should still be eligible after a Trial by Written Declaration. TicketBust service will prepare your full defense package for you, which includes your Trial by Written Declaration and all the defense documents required by Kings traffic court. Fill out the yellow form to fight your Kings traffic ticket now! Did you know that you aren’t allowed to pass the white limit line when you are stopped at an intersection? From our experience, this can be a common ticket issued in the county of Kings, so be on the lookout and stay behind that solid white line. If you find yourself having received a traffic ticket in Kings, give us a call or fill out our form to see how we can help! Originally inhabitated by Native American tribes, including the Tachi Yokuts tribe, the area of Kings County was reportedly explored in 1805 by Spanish Army Lieutenant Gabriel Moraga. Lieutenant Moraga named the local river “El Rio de los Santos Reyes” or “River of the Holy Kings” after the Three Wise Men of the Bible. After the U.S. annexed the land, the river changed name to the Kings River, later the inspiration for the county’s name. 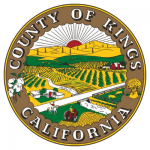 Kings County was formed in 1893 from the western part of Tulare County and added to in 1909 with a portion of Fresno County’s territory. In 1928, oil was discovered in the Kettleman Hills located in the southwestern part of Kings County. The Kettleman North Dome Oil Field quickly became one of the most productive oild fields in the United States. With a total area of 1,392 square miles, Kings County includes the historic Tulare Lake. Once one of the largest freshwatker lakes west of the Great Lakes, the area was reclaimed for farming in the 19th century. Roughly 87 percent of King’s County consists of agricultural farmland. The top comodity of the area in 2017 was milk with a gross value of $676.6 million. Other agricultural commodities include cotton, cattle, almonds and pistachios, and tomatoes. Over 150,000 residents call Kings County home. The most visited attractions in Kings County are historic sites, museums, and local parks. Popular activities include shooting, motorsports, golfing, and bowling.